The Nigerian Information Technology Reporters Association (NITRA) says local content development in the Information and Communications Technology (ICT) sector will serve as a stimulant for nation’s economic recovery. The NITRA’s National Secretary, Mr. Justus Adejumoh, made the assertion on Thursday in Lagos. Adejumoh said that the third quarter forum of the association, which focuses on local content in the ICT sector, has two indigenous software giants discussing on the issue. He listed the software companies as SystemSpecs and indigenous software developers professional body- the Institute of Software Practitioners of Nigeria (ISPON). 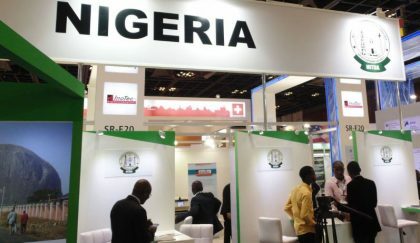 “As preparations heat up for the third quarter forum of NITRA, under the supervision of the Nigeria Union of Journalists (NUJ), more corporate organisations and industry associations have thrown their weight behind the event scheduled for Aug.30. “The NITRA Quarterly Forum will not only highlight the opportunities and challenges of deploying local content in the ICT sector, it will also provide knowledge and networking platform. “The platform will bring together technology innovators, developers, Original Equipment Manufacturers (OEMs), and other key players in the nation’s ICT sector. “Indigenous software powerhouse, SystemSpecs, which has remained committed to software development, is also Nigeria’s foremost software house and has remained firmly committed to its vision from inception, to become the software house of reference in Africa. “The software giant is now regarded as the leading electronic financial transactions company, from Africa to the rest of the world, through the deployment and support of its flagship product, Remita, which powers the Federal Government of Nigeria’s Treasury Single Account project. “On the other hand, ISPON, an industry professional body for indigenous software developers and practitioners in Nigeria, created to ensure an enabling environment for local content developers, has been in the forefront of championing advocacy for the application and utilisation of locally- developed software. “This is in order to boost the country’s economy, Gross Domestic Products and give Nigeria an alternative to oil as a revenue earner,” he said. Adejumoh said that the ISPON’s President, Mr. Yele Okeremi, while declaring support for the forum, said that the event centered on local content in ICT, being one of the top issues of ISPON’s advocacy. He said the forum would provide an opportunity for a critical analysis of the correlation between promotion of local content and the growth of Nigerian economy by seasoned technocrats. According to him, the Nigeria Information Technology Development Agency (NITDA) Local Content Guidelines are intended to help restructure and develop a strong indigenous ICT industry, by addressing three core areas. “The areas are driving indigenous innovation; developing the local ICT industry; and establishing intellectual property regulation and protection standards. “It is argued that the provisions of the NITDA guidelines if properly implemented, will enable the local ICT industry to contribute meaningfully toward the achievement of national development targets. “It will also stimulate and increase the production, sales, consumption of high-quality information technology products and services developed by indigenous companies that serve the needs of the local and global market. “This has motivated the NITRA’ forum with the theme, “Local Content Development in Nigeria’s ICT Sector: Stimulant for National Economic Recovery,’’ he said.